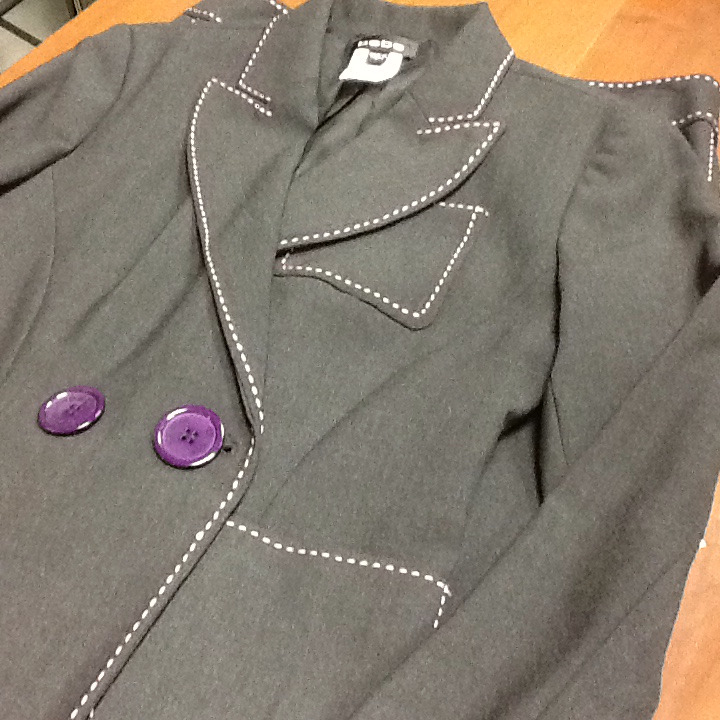 Gray pantsuit with pink stitch trim and purple buttons. Pristine condition. Cropped pant sized 4. Jacket sized 2.